Chris Quigley has been wowing audiences and mastering his craft from the young age of 19, making him one of Canada 's top Comedians, and earning him an hour Special on CTV's well known “Comedy Now”. With a wide range of topics and facial expressions that are second to none, he is sure to please all audiences young and old. He happily tears up the mythologies of life, liberty and the pursuit of happiness with superb ease and accuracy. 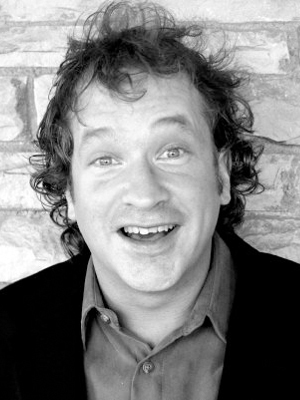 He is an energetic comedic force and a "kamikaze" humorist. He's a favourite at the Yuk Yuk's clubs, colleges and festivals across the country. If you're a fan of comedy with little to no vulgarity, this is one comedian you do not want to miss! "OMG f$@;? ;g Amazing!!!!!! He was an excellent choice!" - Wendy, OHHA Janitorial Cleaning Company. Hi Chris, Thank-you Chris Quigley for making our Annual Christmas Party a huge success this year. It was amazing how right from the minute you walked on stage you had the 500+ audience in tears (laughing tears)!!! Our group of employees are so diverse, ranging in age from 21 - 70 that it's not the easiest crowd to entertain, but that didn't stop you....you read the audience like a book and I don't think there was a dry eye in the place. You are extremely hilarious and make it your passion to make your audience laugh! Laughter is the best medicine. I know everyone was in a happier mood after your performance. We would have loved for you to go on all night! Getting back to work this week, all our staff have commented on how much they loved this year's party and entertainment. They can't say enough about your jokes and the ease you have in making everyone laugh! Thanks for a great time, it was truly enjoyable and you made everyone smile. Hope to have you back same time next year! Take it easy! Sincerely, Michelle Murphy-Bukala, Supervisor of Business Operations, J. & T. Murphy Ltd.
"Everything was great. Chris was incredible. Lots of positive feedback from employees. He has a huge group of new fans. He was very considerate and accommodating about the use of the 'f' word. I left it up to his judgement/read on the audience if he wanted to let one slip here & there. Everything worked out perfectly. Thanks again for our assistance, our party was a hit!" -Vicki B, Peak Engineering & Construction Ltd.
"Chris was really funny. He nailed his set and played off of the crowd well. Some of the edgier jokes pushed some of the comfort levels of a few people but that’s comedy. I would definitely recommend this to other organizations as an alternative work party option."